What is the best OBD scanner? It is important that the device is portable and easy to use. More advanced devices contain a greater number of programmed codes and are compatible with any device. Models that come with installed programs offer the benefit of extra convenience while wireless scanners allow you to synchronize via Wi-Fi and Bluetooth. We believe that BlueDriver OBDII Scan Tool fits these criteria best. Why have we chosen this model? This is a best-selling professional-grade device that is licensed for Apple and Android phones. The scanner saves results, makes reports and shows graphs. Not only can it diagnose faults but also offers repair solutions. With a weight of just about 2 ounces, this model is portable and convenient. If you have an OBD2 scanner, you do not have to go to a service center and pay for expensive diagnostics. Now you can easily check the car yourself. For small car-care centers, it is also advantageous to buy an inexpensive scanner to identify the main series of errors and malfunctions. 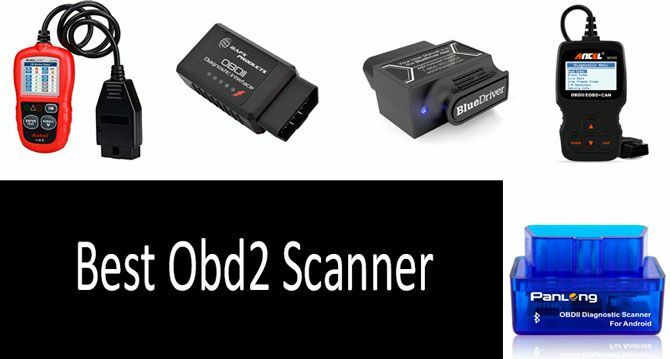 But what is the best OBD2 scanner to buy? Today I will tell you how to choose a worthy buying scanner that will fit your car and how to use it. We have made a top-rating that will help you make a choice. What problems can a Scanner discover in your car? The scanner is connected to the diagnostic block, which is located at the base of the steering wheel. Usually, it is a trapezoidal connector under the steering column or bottom of center console. It has several data exchange protocols: CAN (ISO 15765-4), VPW, PWM, KWP2000, and ISO9141. The machines produced since 1996 are available for diagnosis. It was then that they began to produce cars with an OBD2 connector. This is a standard type of connector that transmits (pass) the maximum number of errors. It fits most machines, but some brands do not support this format, so read the car's passport before you buy it to learn which type of the connector is in the car. Depending on the model, devices can work by ‘Plug and play’ principle like portable scanners or with APP for your smartphone like Bluetooth/Wi-Fi models. Speedometer and odometer - violations are detected here. Drivers can cleverly remove the mileage readings. Depending on the installed application, you can select several diagnostic tests. Here it will identify more than a hundred faults and translate this code into your language. Here there is the possibility of resetting errors that occurred when changing auto parts or wiring, after which the car can normally drive. Depending on the functionality and features, we have rated the top five best scanners that work together with the OBD2 protocol, ranging from $10 to $100. One of them is made in the form of a block, to which you need software and a smartphone, tablet or computer. Other models are portable, and the result is immediately displayed on the scanner's display. In most cases, buyers are guided by the ratio of price to quality and try to save money. They like a portable scanner that does not require installing the program on a computer or smartphone. It is inexpensive but contains less programmed codes that it reads. 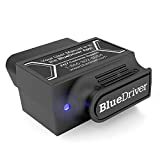 Others like the expensive BlueDriver Bluetooth Professional OBDII Scan Tool for its versatility and compatibility with any device. In addition, there is no need to install the program, it is already installed in the block. Wireless models are convenient because you can synchronize via Bluetooth or Wi-Fi. This bright red model Autel AutoLink AL319 OBD2 Scanner has a large color TFT display. An important advantage is the absence of necessity of synchronization with a computer or tablet. All information will be displayed here. It displays basic metrics, clears codes and resets monitors besides errors after changing the airbag, srs, electronic parking brake. 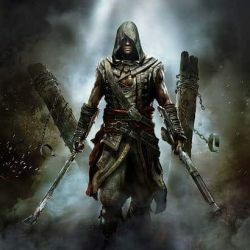 There is also the possibility to receive software updates. The cord is long enough. The dimensions of the device are 6.3 x 17.7 x 9.2 inches. You can sit at the wheel and keep it in your hand. Now, take a look at this scanner manufactured by a well-known and trusted producer Innova. The company has its own patented products and developments in the field of automobile service and is a leading supplier of test devices intended for the automobile aftermarket. Well, it is not just the brand that has drawn my attention. The model differs from other ones featured in this review in its ability to search for and detect faults not only of the engine but also ABS & SRS systems and airbags. So for some $100, you get a device that is easy to use and provides you a lot of useful information. It is powered by 3 AA batteries which come with the product. In comparison with the previous model, this one is twice as heavy, with a weight amounting to 2.5 pounds. BAFX Products Bluetooth Diagnostic OBDII Reader/Scanner is suitable for a smartphone supporting Android or installing on a computer with a Windows operating system. Suitable applications you can download from the Internet. This is Torque, Dash Command, Carista, Scan Master, Piston & more. Ability to build graphics and analysis in real time. This is a simple and inexpensive Panlong Bluetooth OBD2 OBDII Car Diagnostic Scanner for Andriod. It works together with the Torque Pro application on gadgets that have the Android operating system. The flaw (or drawback) is that the unit cannot diagnose cars diesel, hybrid & trucks with 24V voltage. It is the smallest one ( 1.9 x 1 x 1.3 inches). Universal BlueDriver Bluetooth Professional OBDII Scan is convenient. It is compatible with iPhone, iPad & Android. Here you can save the result, make a report and display various graphs. Data is exchanged via Bluetooth. No additional software is required, the installation will start automatically as soon as you connect the scanner to the car. Unlike other models, this scanner has a Smog testing function. Here you can save information about the result in the dropbox and view from any device. In addition, a powerful scanner not only diagnoses and shows possible causes of breakages but also offers options for repairing a car. Mode 6 can show you the status of each sensor located in the car. Here, errors can be reset, for example, when replacing the airbag, ABS settings. In addition, you can receive updates for free. It is convenient that technical support works 24/7. ANCEL AD310 Classic Enhanced Universal OBD II Scanner does not require additional equipment and has 8 languages in the interface. On a small LCD display, not only error codes are displayed, but also their description and the possibility to solve the problem. Breakage in the wiring and loss of contact, the condition of the fuses. Malfunctions and errors in the fuel system and injection. Breakage of all bulbs, sensors on the instrument panel and their reset. In addition, the main indicators you see immediately when you connect: speed, fuel consumption, and temperature. If a check engine light is blinking in your car, you can test the vehicle using one of these scanners and even clear fault codes. However, if they occur again and cannot be cleared, we recommend that you address to the professionals. To make an appointment for car diagnostics or any other service repair in your state, you may contact Pep Boys service center at www.pepboys.com. If you purchase a universal OBD2 car scanner, you will save on the repair of the car and its maintenance. Now you do not need to visit a car service because you yourself can conduct diagnostics!